I like red for its fire and passion. It's a cleansing and demanding color which won't let me remain passive. 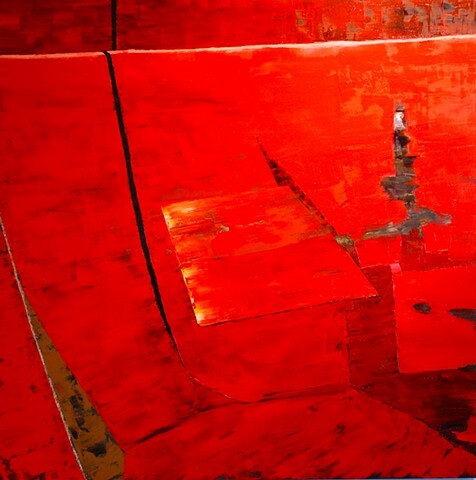 This abstract painting began with a visit to a bistro in Knoxville, which had red booths and walls.